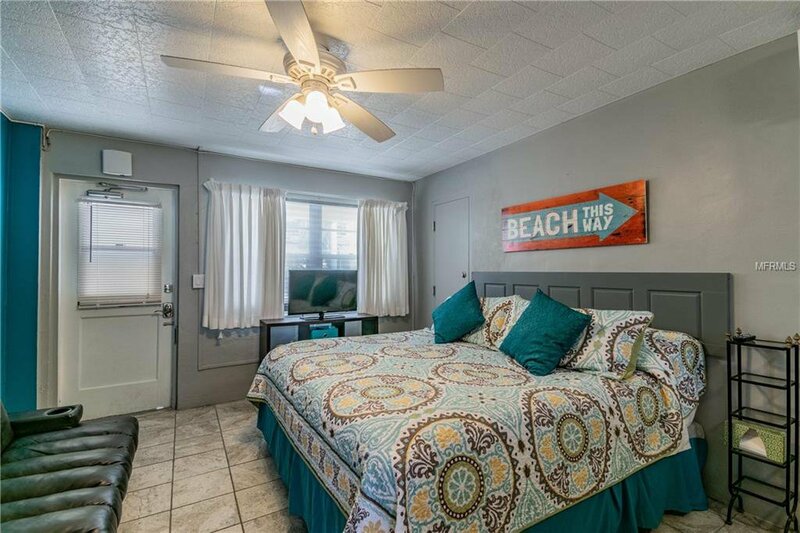 You don’t need to be on a TV show to find a beachfront vacation property that can pay for itself! 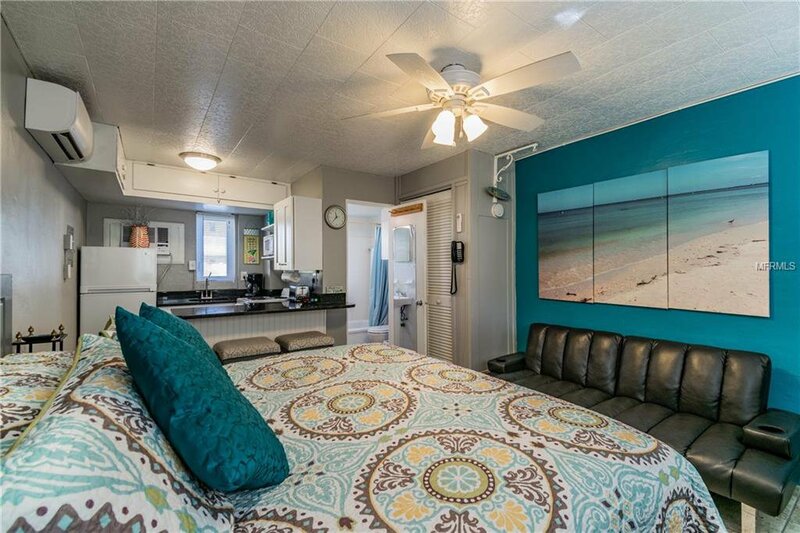 All you need to do is check out this wonderful studio at Tropic Terrace in beautiful Treasure Island! 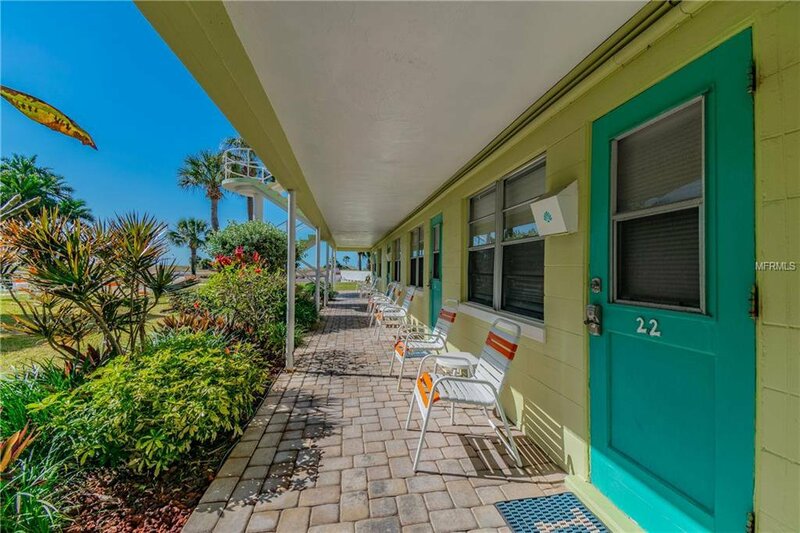 Tropic Terrace is just steps from the beach – and no, you don’t have to cross a street to get there. 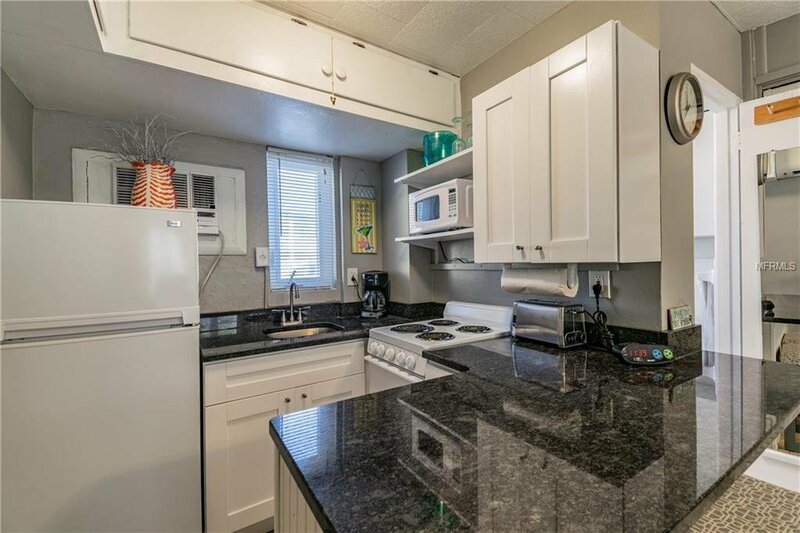 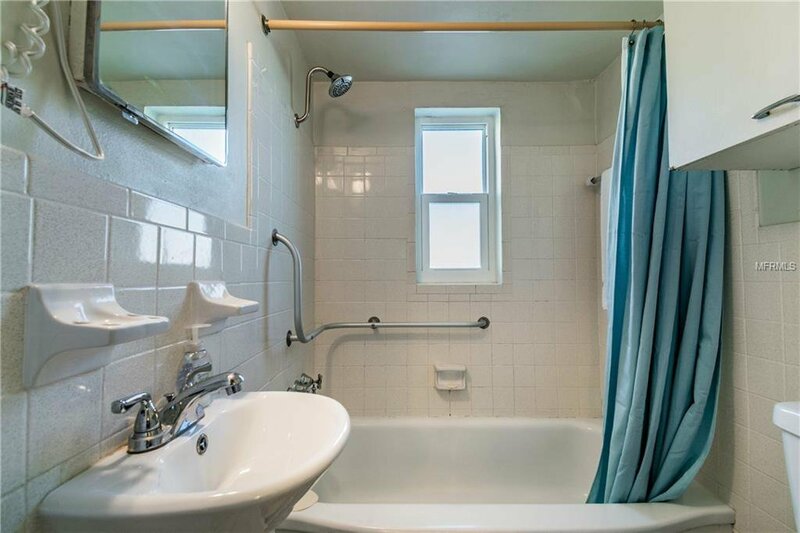 This fully furnished unit features a remodeled kitchen with granite countertops, Shaker-style cabinetry, range, fridge, microwave and breakfast bar. 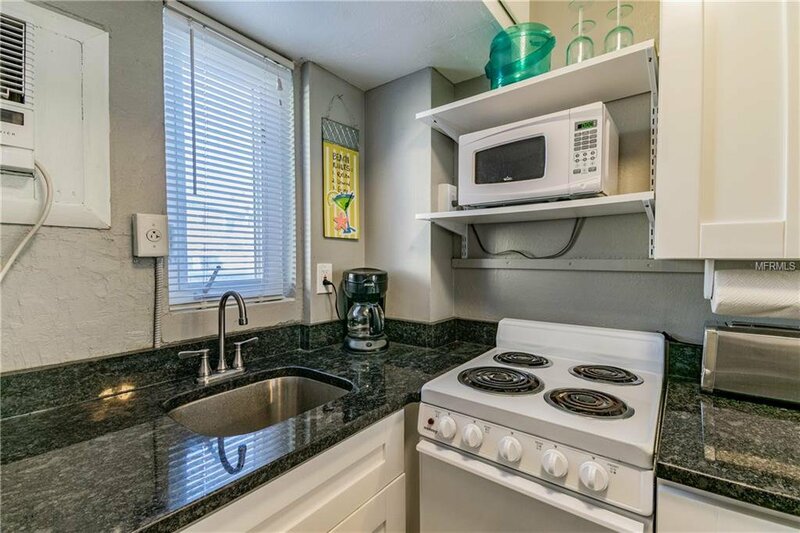 There’s also a newer Daikin mini split so you don’t have to rely on a wall air conditioner to cool your living space. 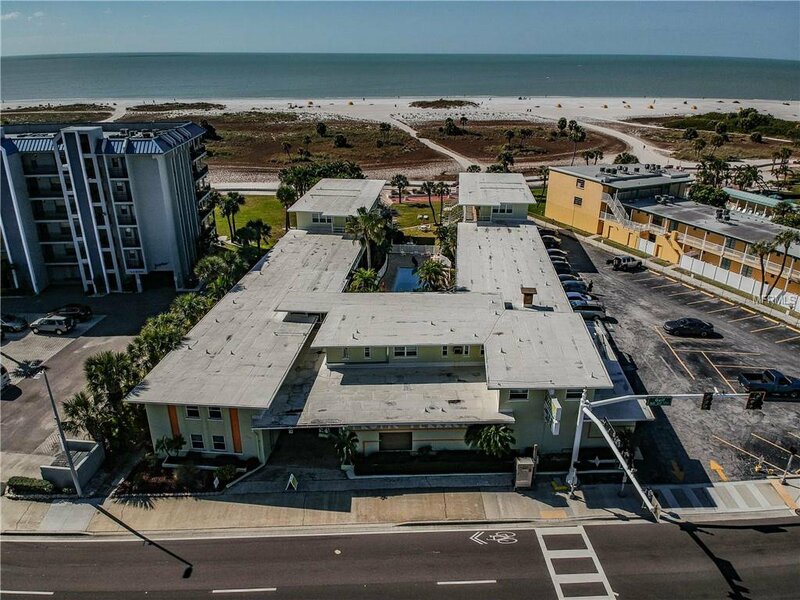 Tropic Terrace allows unlimited owner usage along with the option to rent your unit with an on-site management company. 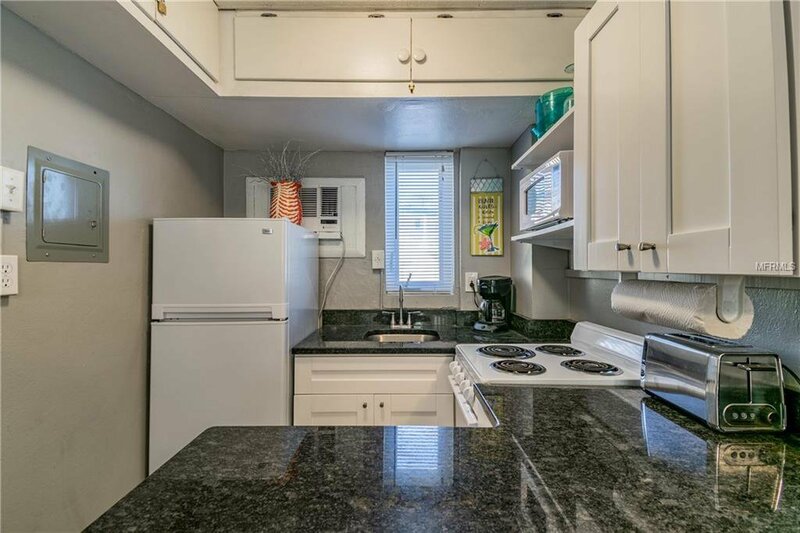 That’s right, this unit can generate income and there are no restrictions on when you can use it! 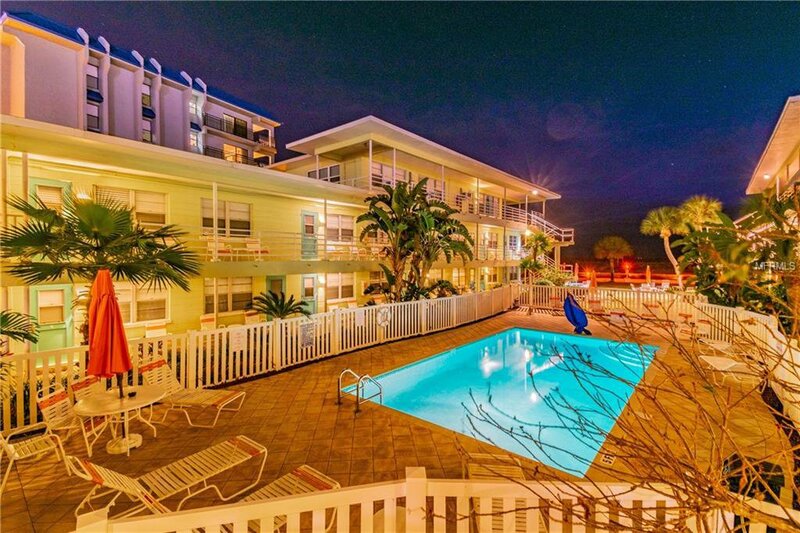 Spend your winters in paradise and rent it the rest of the year, or just live here year-round! 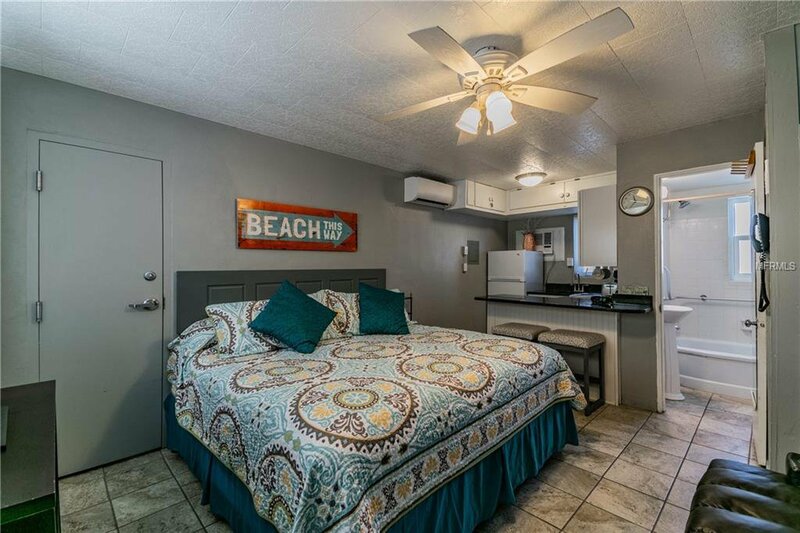 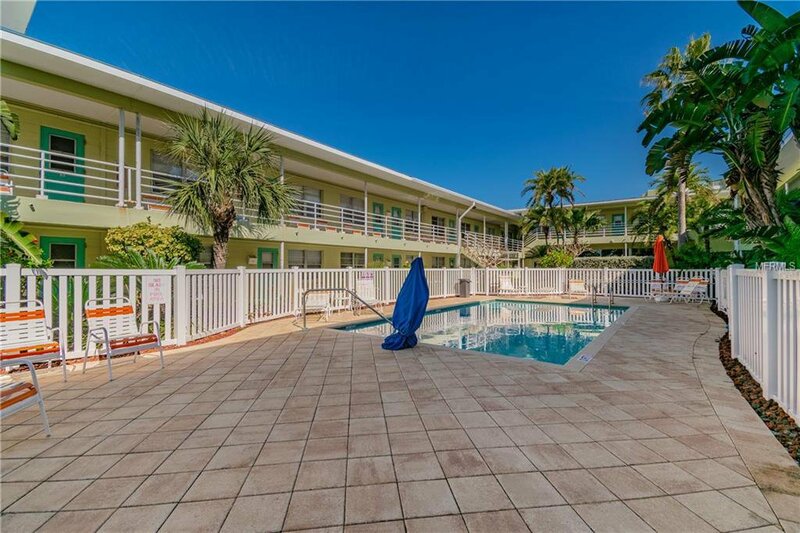 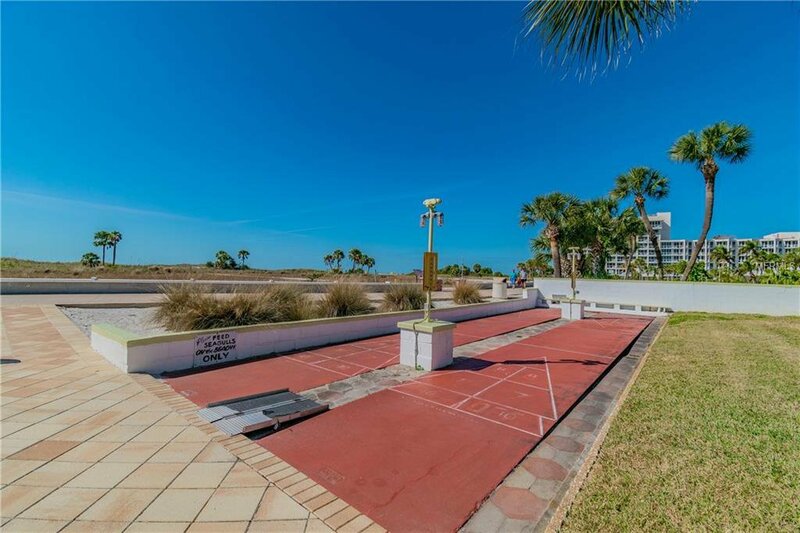 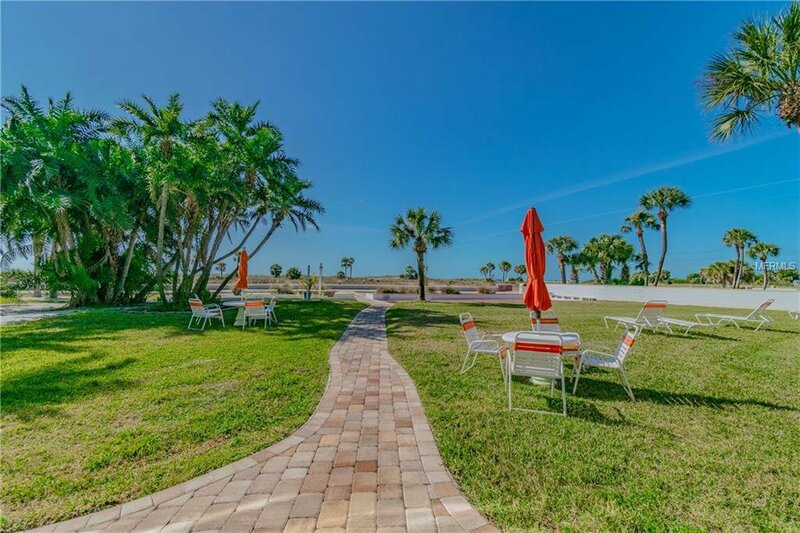 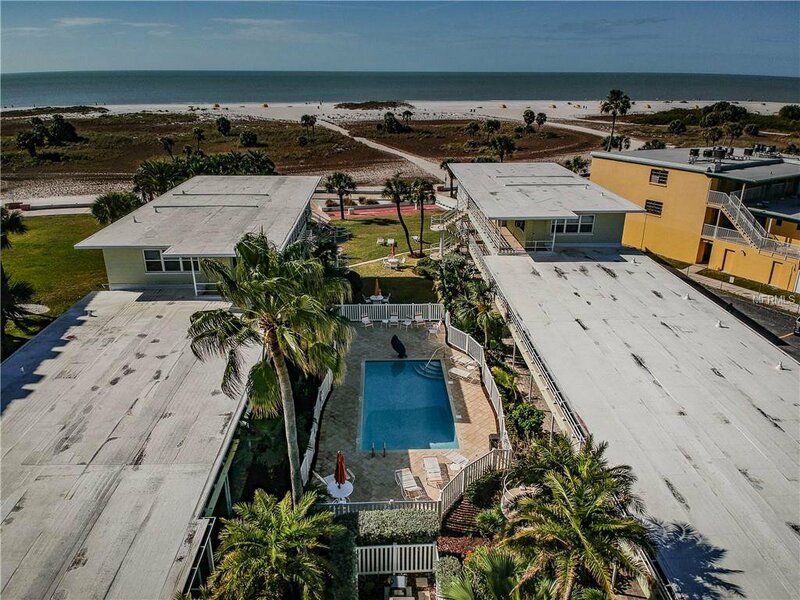 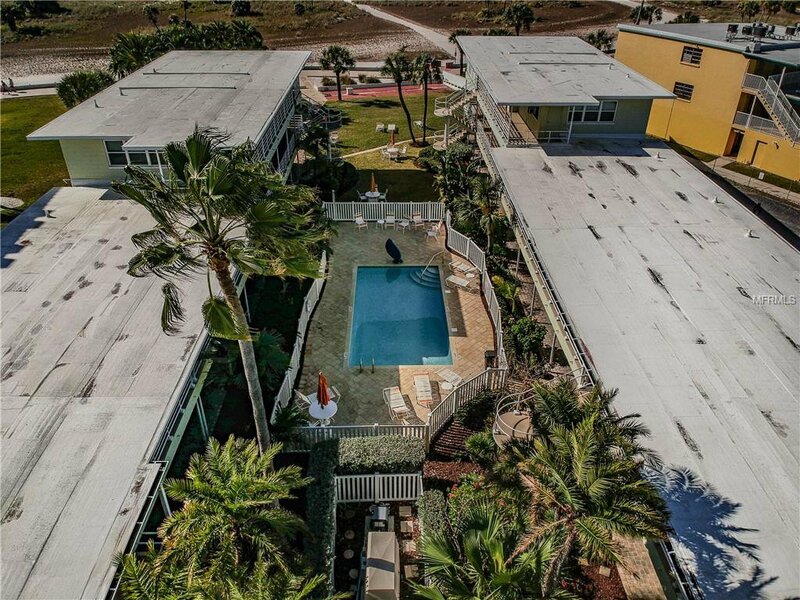 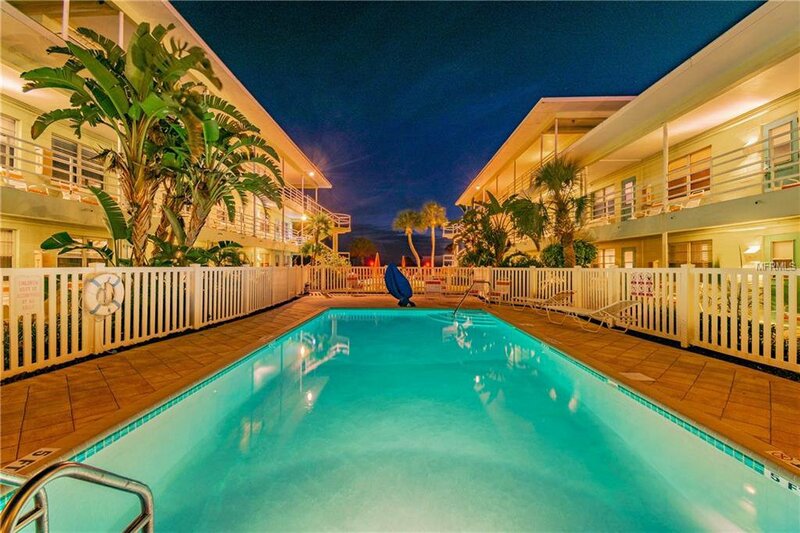 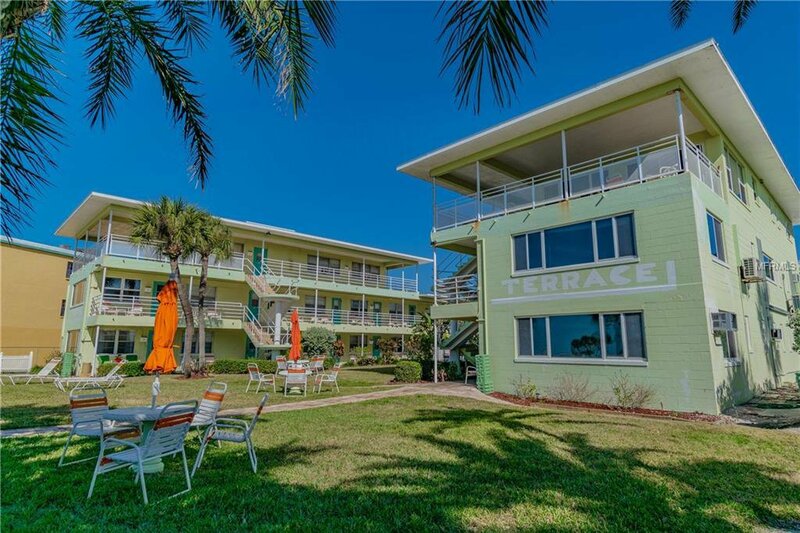 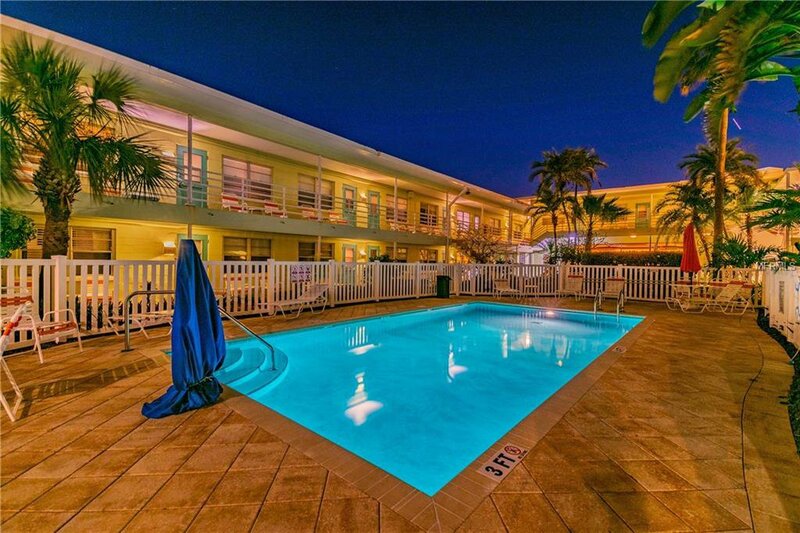 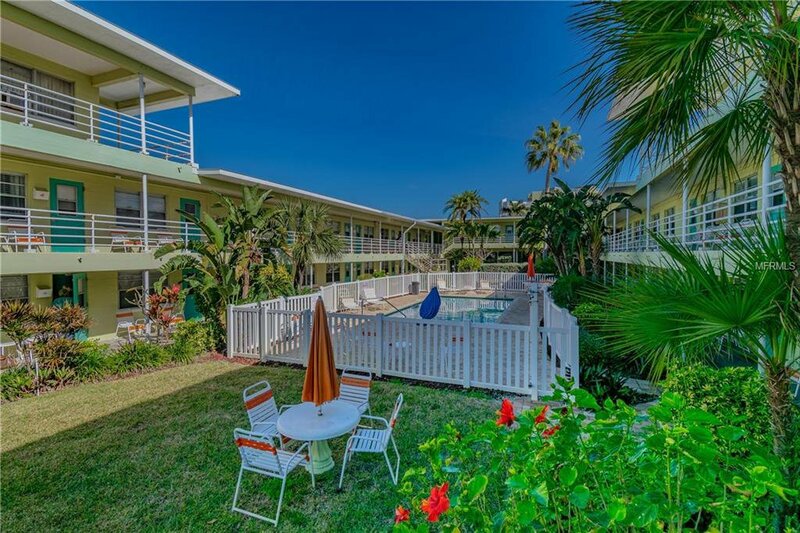 Tropic Terrace has a community room and storage room, along with a heated pool, beautifully-maintained grounds, shuffleboard courts and coin-operated laundry on site. 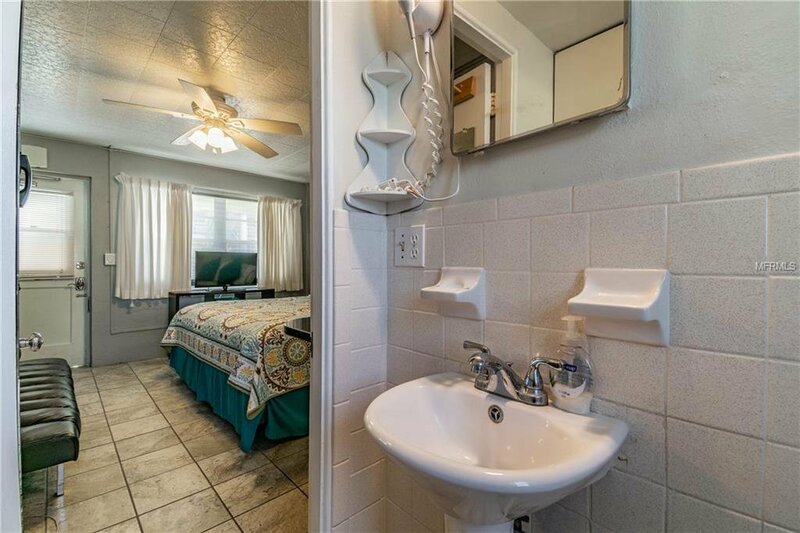 A low monthly fee of just $313 includes cable, water, sewer, trash and even electric! 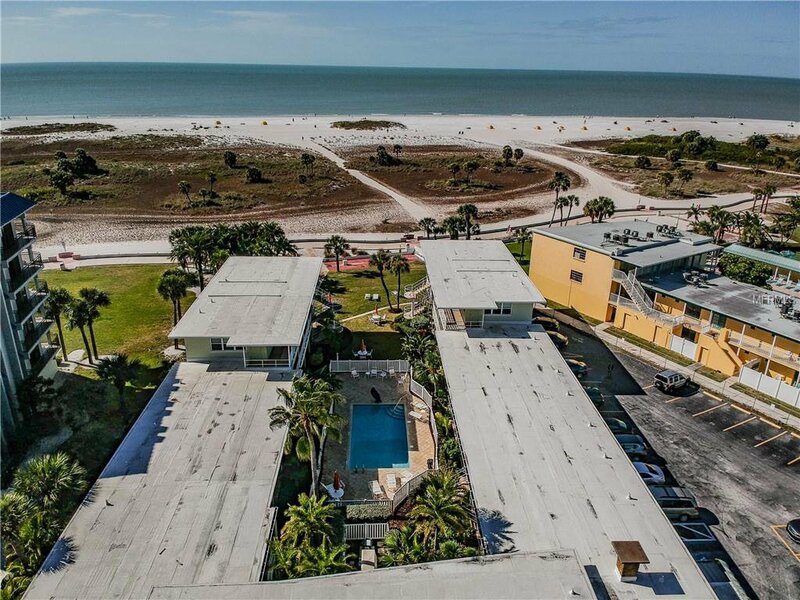 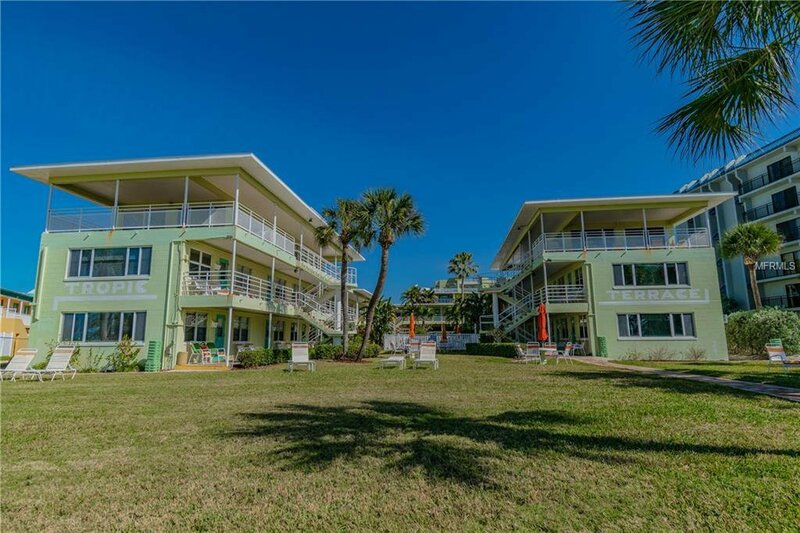 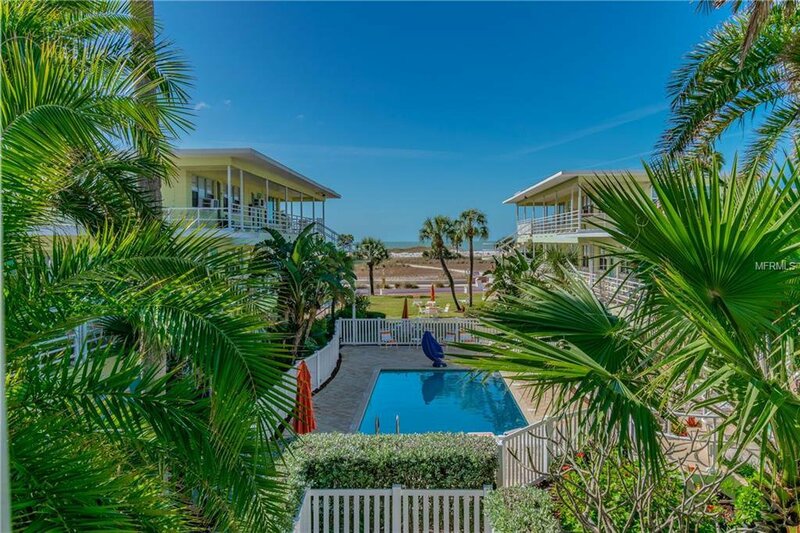 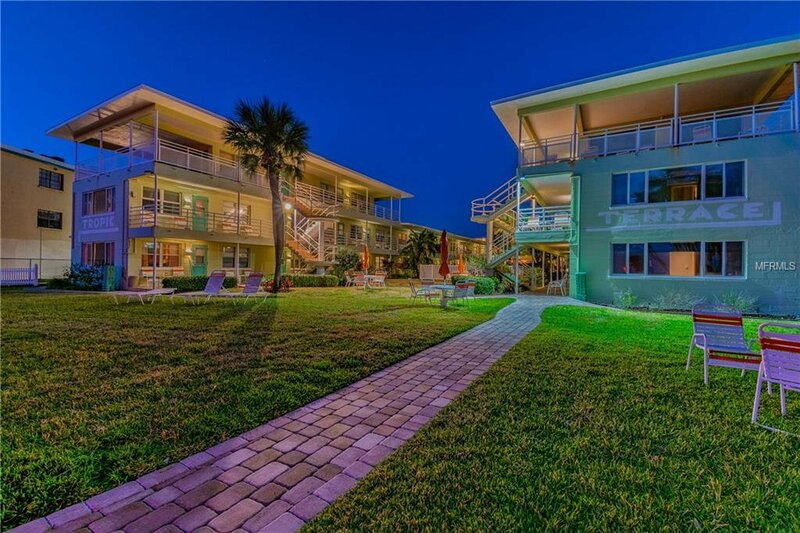 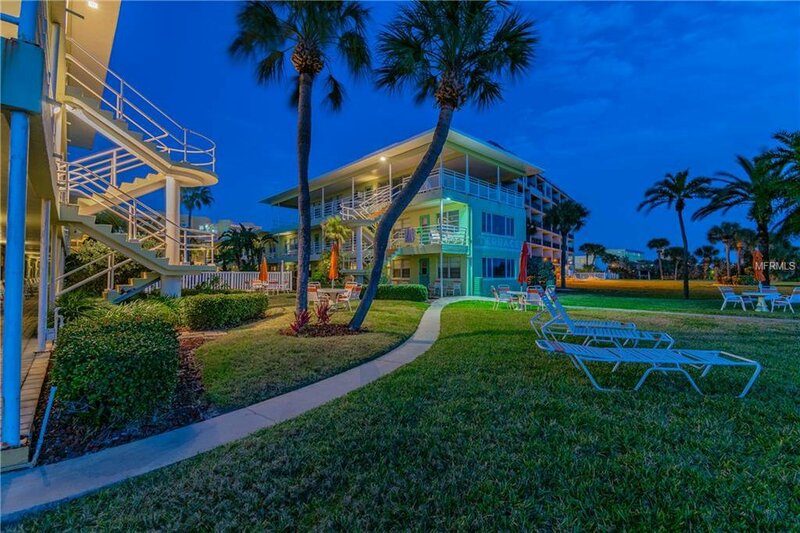 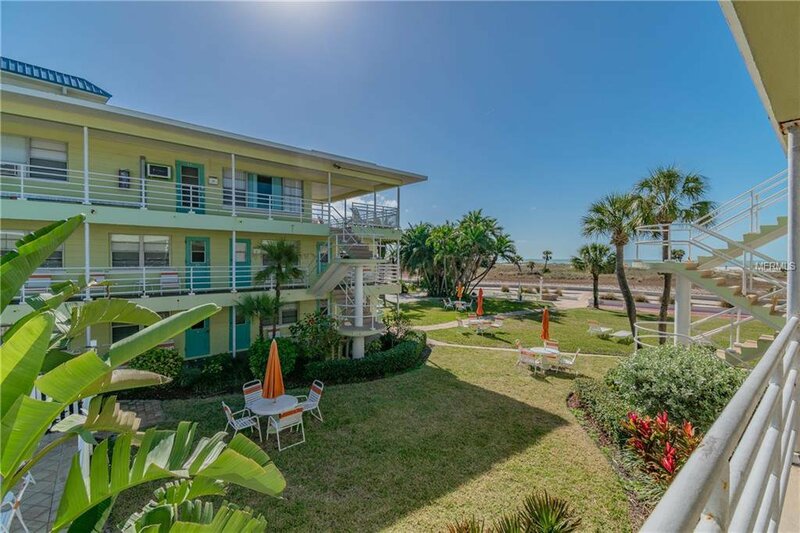 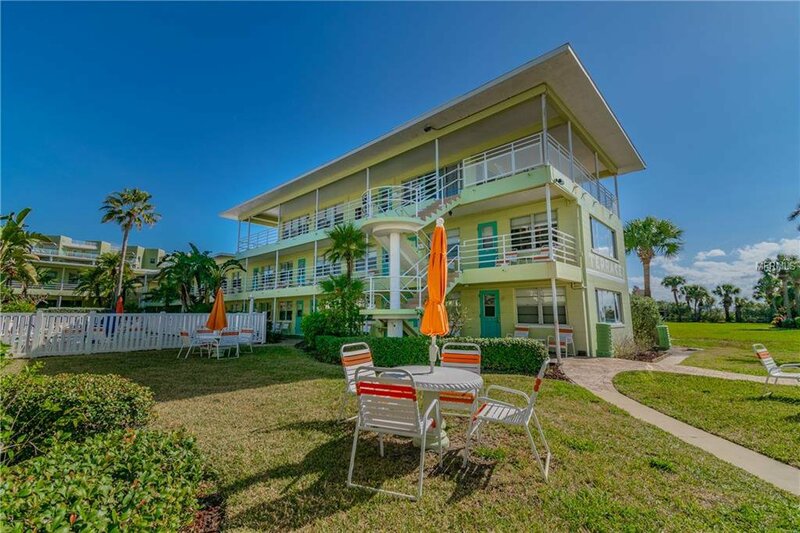 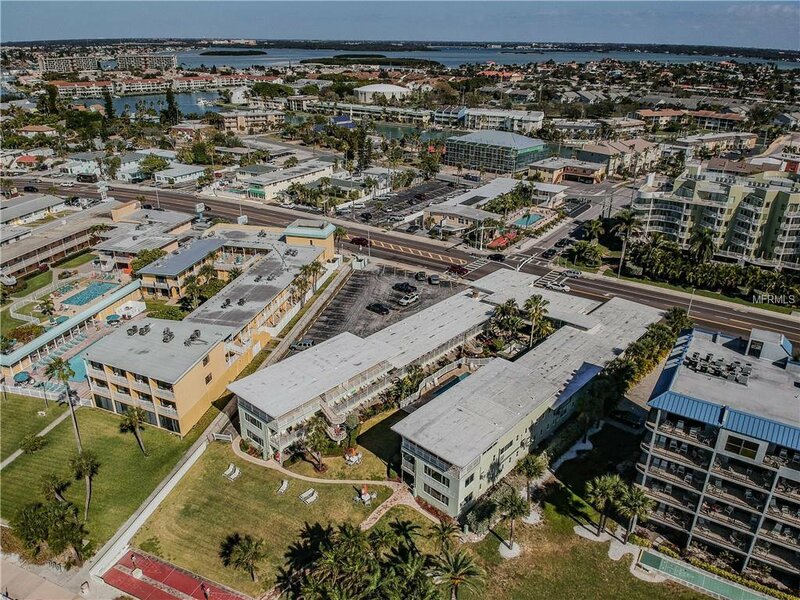 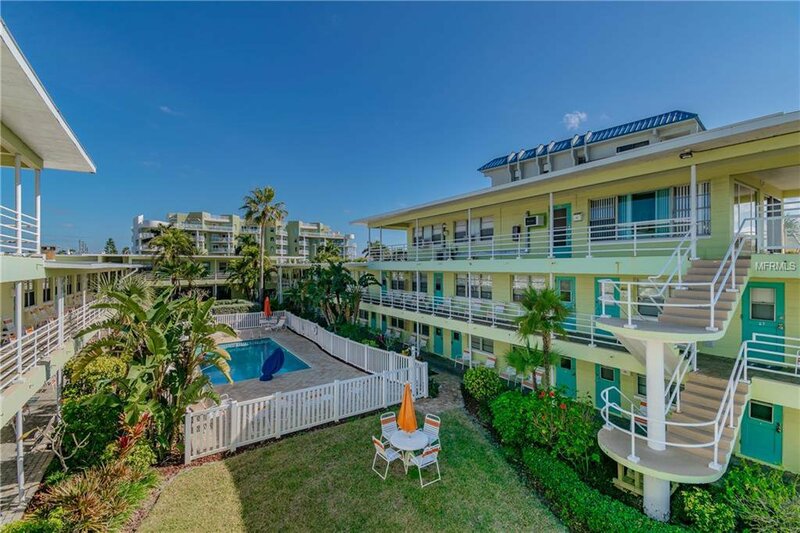 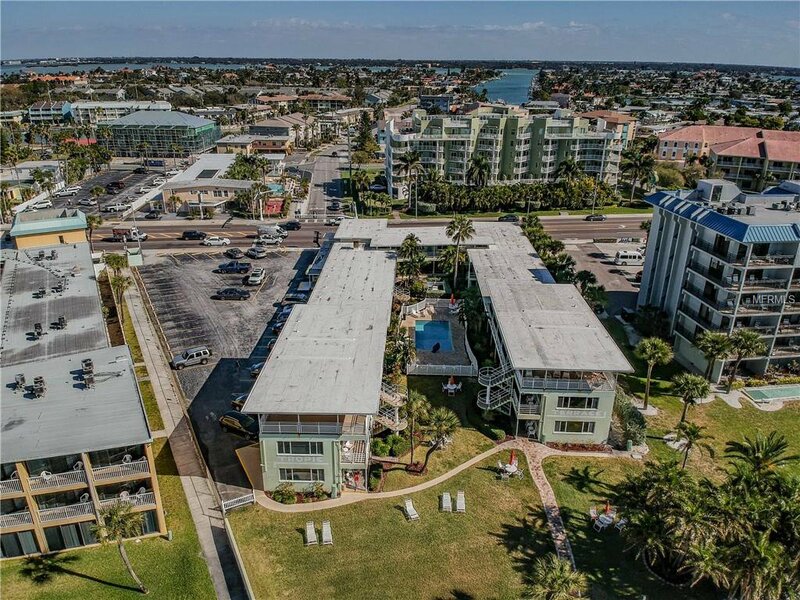 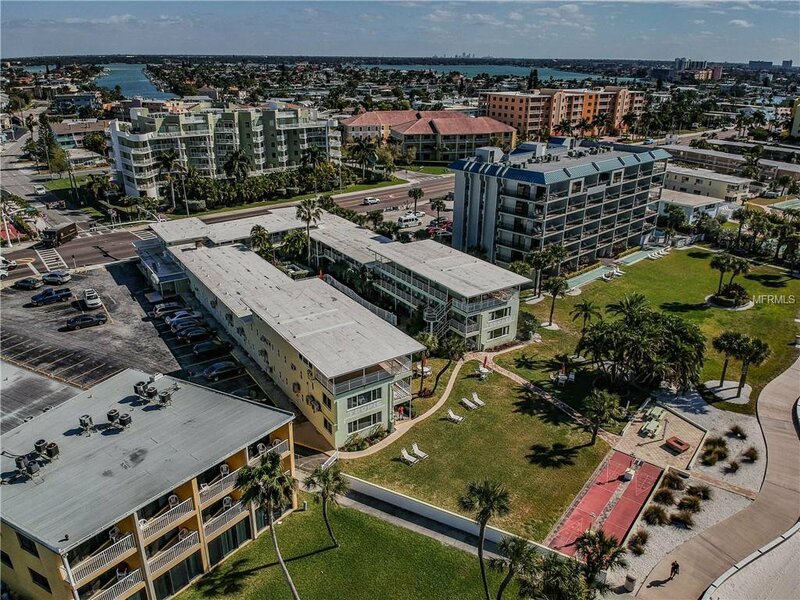 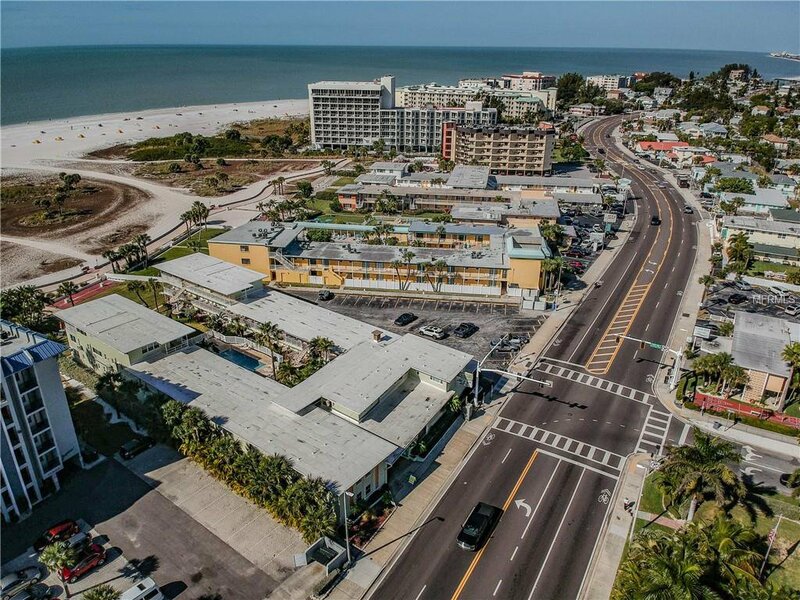 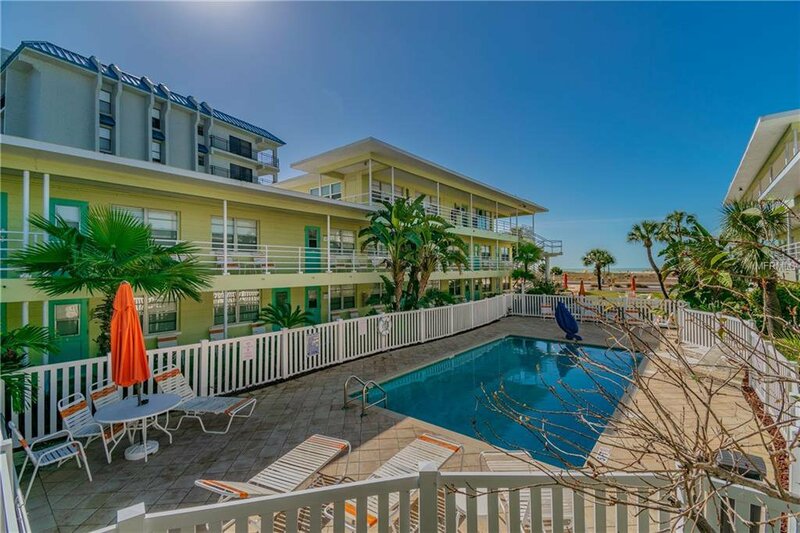 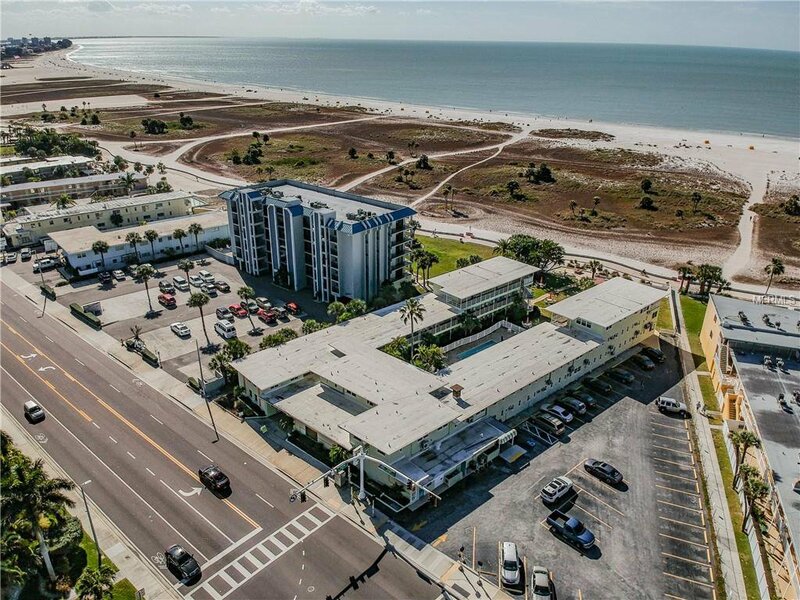 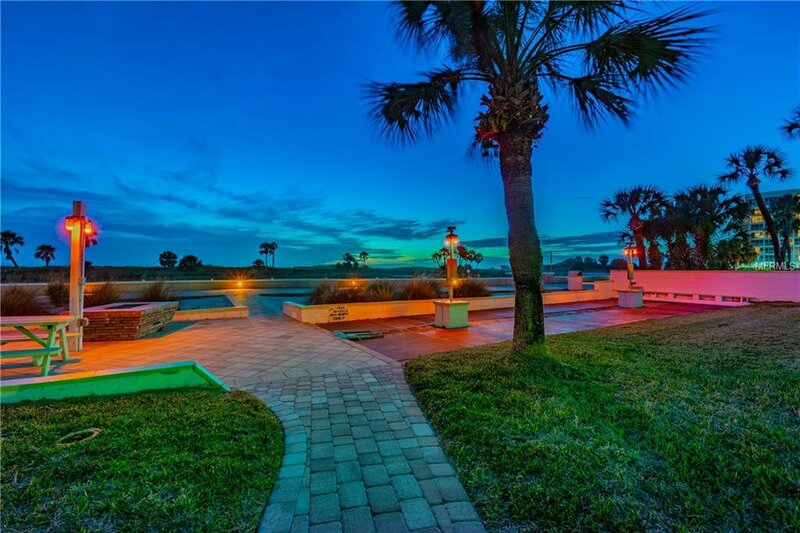 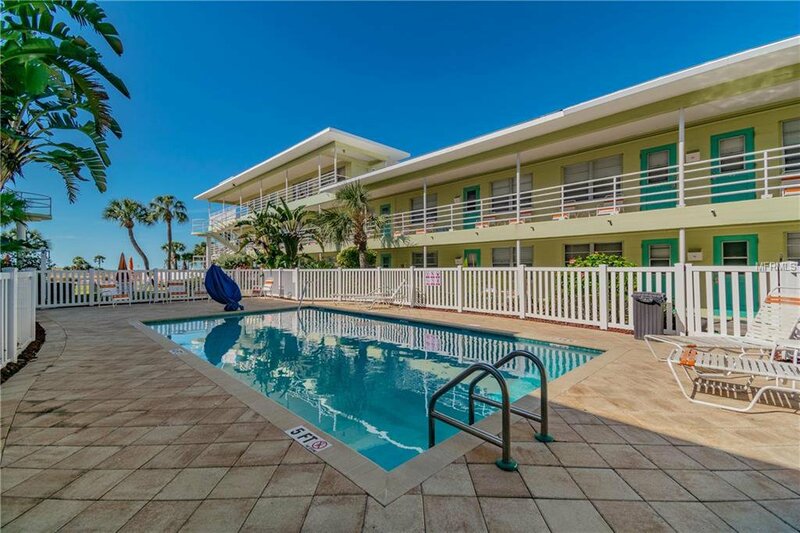 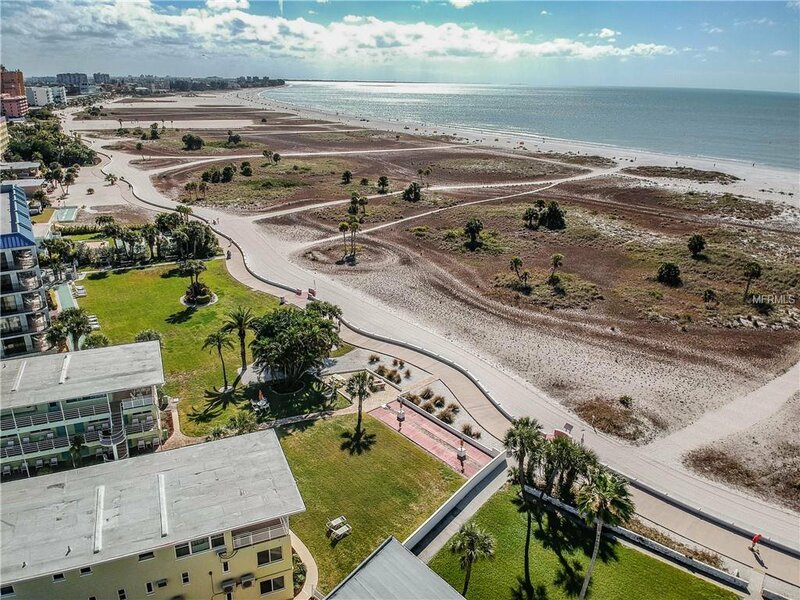 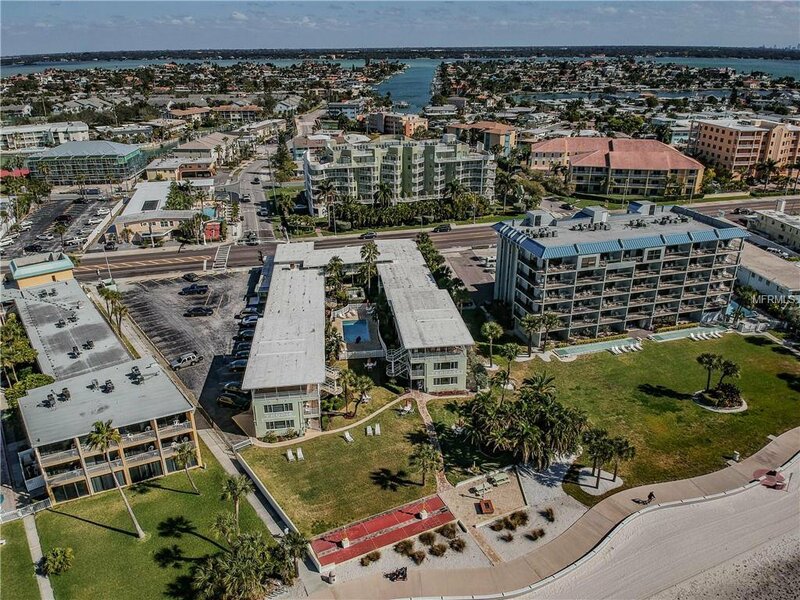 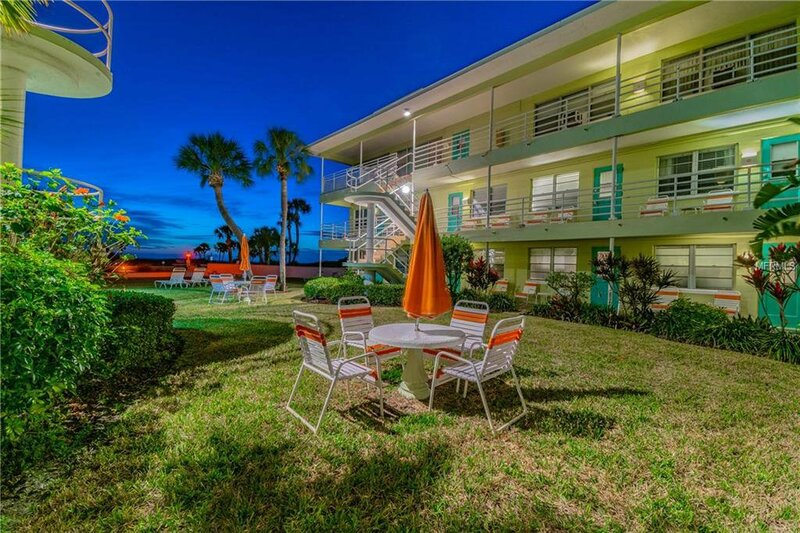 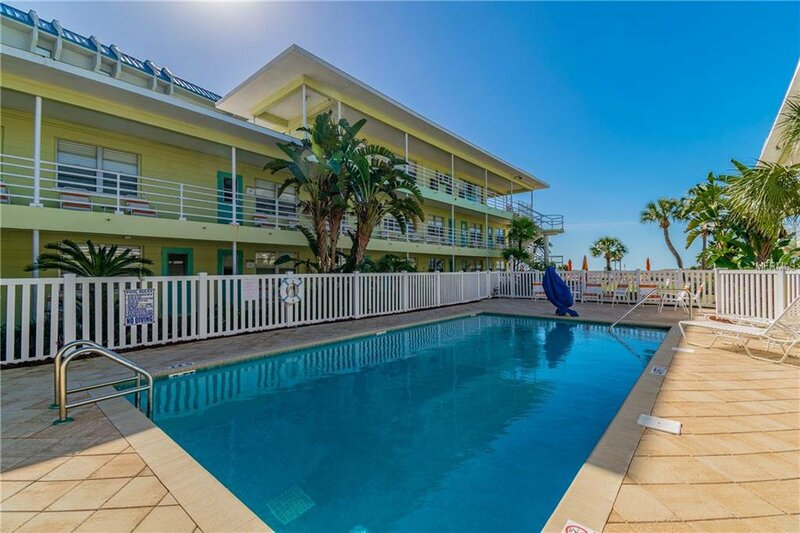 Experience old Florida living and sunsets over the Gulf of Mexico, plus the conveniences of today, as you’re just minutes from shopping, restaurants and entertainment. 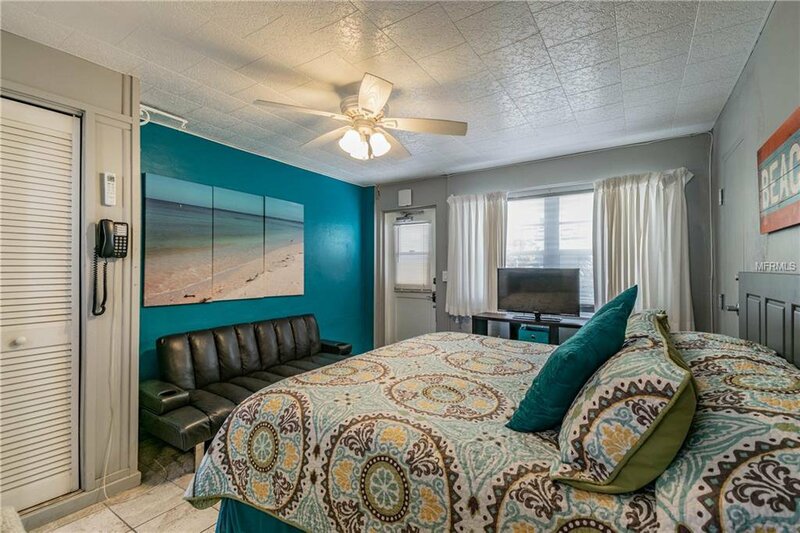 You can preview this unit in Virtual Reality – no special equipment needed – just by clicking Virtual Tour 1! 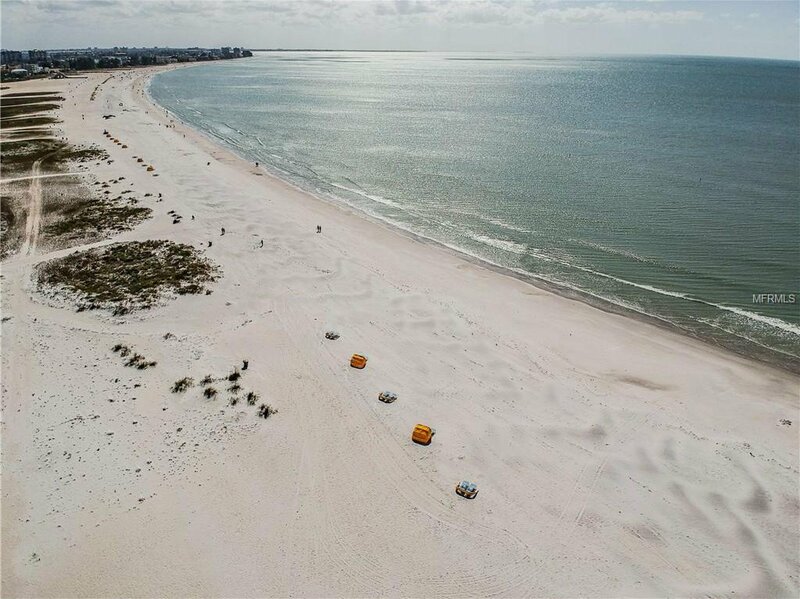 Then make your appointment to see this incredible opportunity and feel the sand beneath your feet while you’re here!